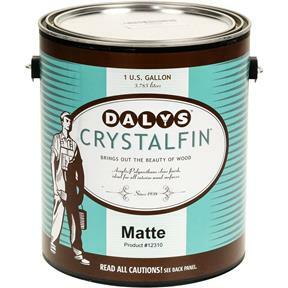 Polyurethane/acrylic clear finish is a clear water-based coating that is brushable, fast drying, non-toxic, non-yellowing, and highly protective. 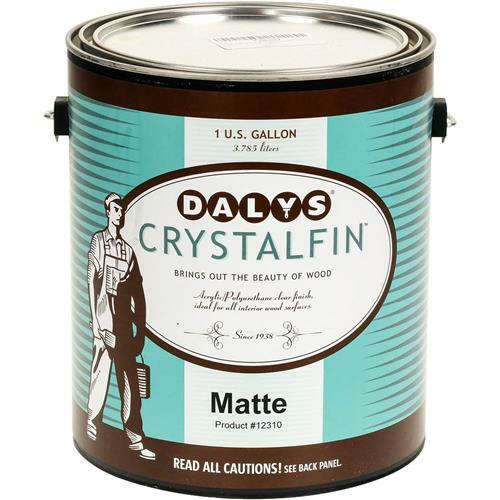 Modern technology renders this finish extremely resistant to marring, scuffing, alcohol, boiling water, and most household cleaners, making CrystalFin ideal for all interior wood surfaces, especially for low odor requirements and easy clean-up. Available in gloss, semi-gloss, matte, and satin finish. 1 gallon.